According to the historical evidence, the origin of Tarot can be traced back to Egypt in the 15th century. The tarot deck contains 78 cards of images and symbol and has deep meaning to it. Tarot card reading is a unique tool for self-understanding and for making choices & life decision about present and future, becoming one of the major tools for self-discovery and personal growth. At Future Guide, we have best tarot card reader in Mumbai and Thane who is expert in answering simple and deeper questions that ultimately guide our life as such develop resilience, perseverance and power to overcome obstacles. There are many ways to spread cards and our best tarot reader uses his own technique of nine spread cards which covers all aspects of life as such carrier, romance, relationship, creativity, health, wealth, education, success, fame and so on. Won't you be amazed if an individual totally strange shared with you the details of your past and present, at times things that no one knows except you? Well, this is the trial of a best Tarot Card Reader, only then can you trust any of his/her predictions about your future. 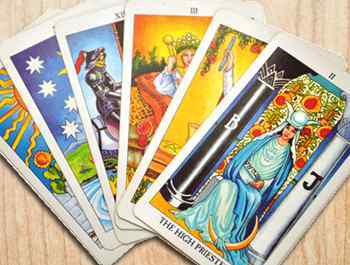 Essentially in tarot reading, a best tarot reader attempts to look into your future and help you take right choices to shape a better tomorrow for you and people connected to you with the support of Tarot Cards.